We have a great selection of films for you. Some are in English, some are in a foreign language. Some are funny, some are serious. We have a filmmaker coming to meet you, and a panel discussion after one of the other films. So read the descriptions, watch the trailers, and consider buying a Season Pass to come and watch all six films. They are worth it. Buying tickets is easy - just push this button. Sitting together in a movie theater to watch a film, immersing ourselves in a story while being together with others, is a unique experience that we as social beings can’t really find in many places. Last year it was clearer than ever, when many of us came together in the aftermath of the firestorm to share our personal stories, as well as the stories on the screen. 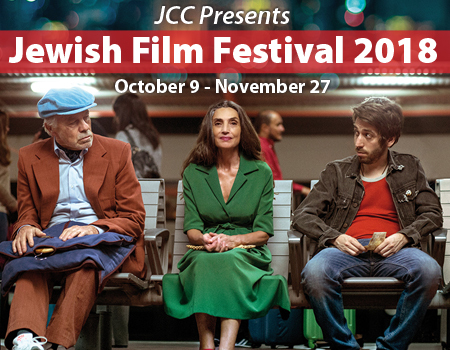 This fall, as is our community tradition, we are coming together at the Jewish Film Festival to watch films that bring diverse experiences through universal stories of different ways of being Jewish. 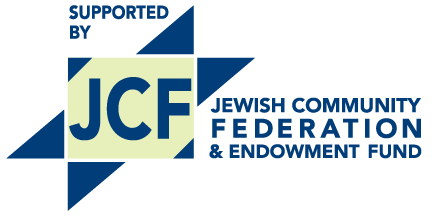 The JCC’s Film Festival Committee has invested time and energy, and worked hard to pick the best of all that were offered, so we can sit in the darkened theater to escape from everyday reality for a couple of hours only to come so much closer to real life. We hope to see you at every one of the films, celebrating, exploring and deepening our understanding of Jewish life, and most importantly having a good time in our community!